Every Friday over summer, Patricia Coffee Brewers will be transformed into a breezy bar dedicated to gin and tonic, inspired by the Italian aperitivo concept. There are four gin and tonics on the menu, and the rotating menu will be updated every fortnight to showcase a broad variety of flavours. The menu will also engage with Melbourne’s coffee culture with the ‘Patricia G&T’ made with the Patricia house cold filter, which will feature on the menu for the whole summer. 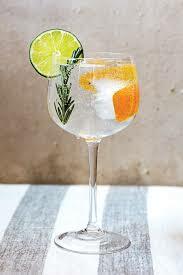 The main focus of this mono-gin bar is to start a conversation with all gin lovers about the impact of tonic and garnish on the overall flavour profile of the drink. Entering a familiar coffee spot, guests will find themselves in a one-stop shop where they can work out a perfect G&T which suits their palate and take this knowledge home.